After your dog or cat gets treatment at a pet clinic, it’s often necessary for them to wear the notorious “cone of shame.” This plastic barrier may keep them from itching or irritating their wounds, but it’s certainly not comfortable for them to wear. The next time you take your little buddy to the animal hospital, ask about alternatives. 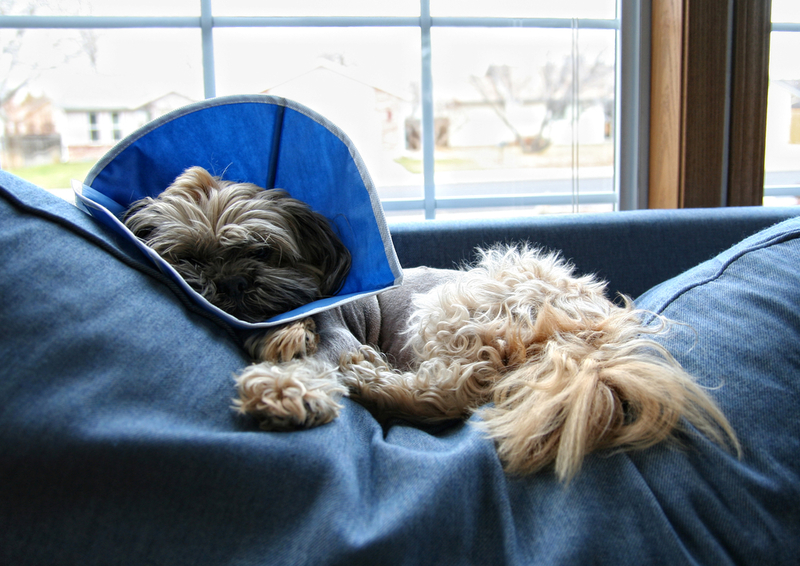 There are a number of large collars on the market that serve the same purpose as the cone of shame, without being nearly as large or uncomfortable. They’re big and durable enough to keep your pet from attacking any injuries around their upper body but also flexible enough to give them more freedom of movement. These items, which are also widely available at pet stores and some animal hospitals, are essentially like the cone of shame, except for one key difference: instead of being made from hard plastic, they’re made from soft materials, like cotton. This makes them more comfortable for a pet to wear, and they are effective for smaller, less aggressive animals. Some companies also manufacture masks/visors that work like cones. They are designed in a variety of shapes and sizes to fit your pet’s face perfectly. They allow your pet to see clearly but restrict movement enough to keep them safe. Knowing which of these options is best for your pet requires talking to a professional. They’ll let you know what you can do to protect your furry friend without causing them any unnecessary discomfort. Looking for a pet clinic in the Wisconsin Rapids area? Get in touch with Animal Medical and Surgical Clinic. Contact them online to learn more about the services available or call (715) 421-2006.